*Rolling Surveillance is a prerequisite for this course. Rolling Surveillance II is ADVANCED. It’s week II of our Rolling Surveillance training. 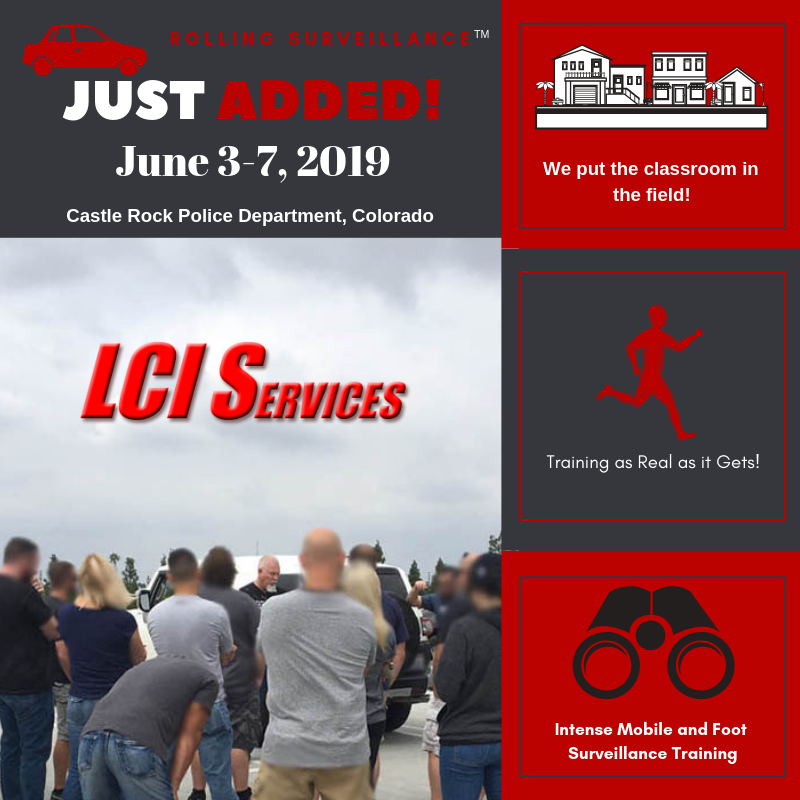 Register below for the May 20-24, 2019 Rolling Surveillance II training in Thornton, CO (Denver region).